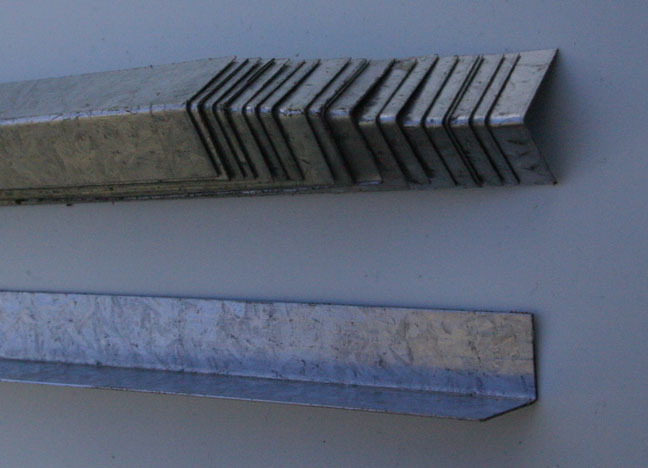 Each galvanized steel ridge cap piece is an angle 3/8" x 3/8" x 4" long. These are bent to a 90° angle, but can be adjusted to fit any roof pitch. A pack contains 20 pieces.